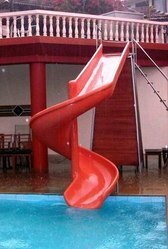 Leading Manufacturer of spiral pool slide for water park from Mumbai. We are among the leading manufacturers of Spiral Pool Slide for Water Park. Our offered range products are widely demanded by our clients at various market leading and affordable prices.